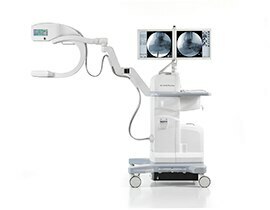 The OEC Elite surgical imaging C-arm, a premium C-arm designed to enhance surgical efficiency while delivering the renowned image quality OEC C-arms are known for. 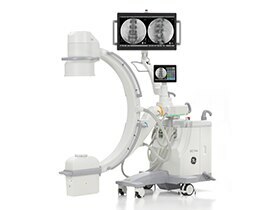 This system is ideally suited for a range of surgical needs including orthopedics, gastrointestinal, endoscopic, urologic, neurologic, critical care, emergency, and vascular procedures. 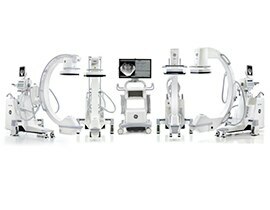 GE Healthcare's clinical and service teams support thousands of OEC C-arms worldwide, providing key insight in how to improve the ease and efficiency of surgical workflow. The OEC Elite was designed with these improvements in mind. So now your surgical team can experience this efficiency firsthand, so much so, they may not even notice how easy it is to operate. * Availability of select models, configurations, and options varies by country. ** Compared to prior GE OEC systems.